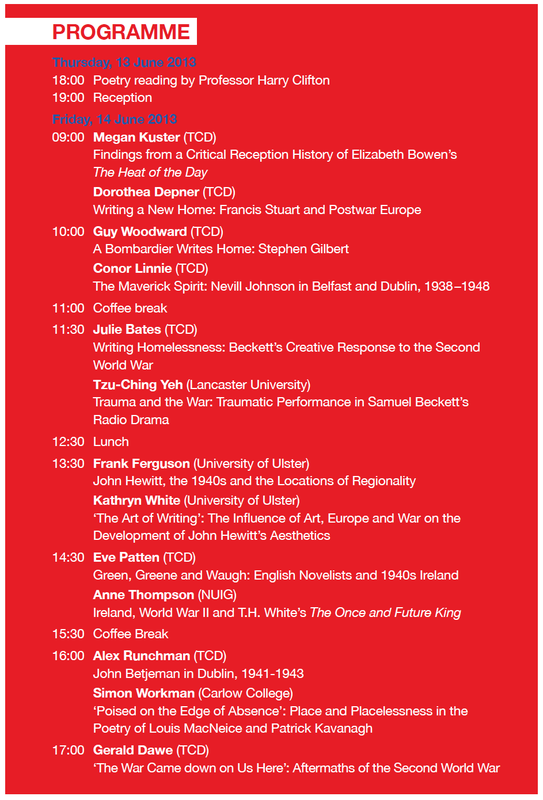 The essays address writers including Samuel Beckett, John Betjeman, Graham Greene, T.H. White, Stephen Gilbert, Denis Johnston, Patrick Kavanagh, Louis MacNeice, Kate O’Brien, Francis Stuart and Evelyn Waugh, as well as the painter Nevill Johnson. 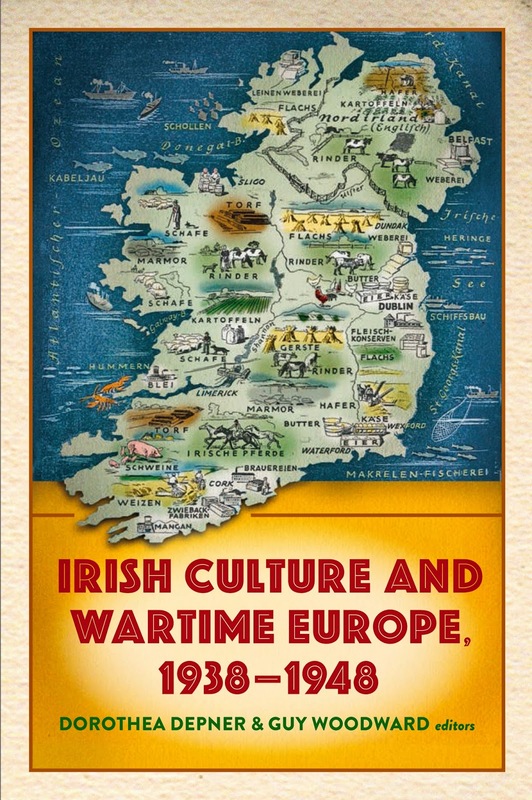 During this turbulent decade, their engagements with home and abroad, self and other, complicate established narratives of Irish neutrality and isolation and shed new light on the intricate cultural and historical interconnections between Ireland and Europe. Contributors: Simon Workman (Carlow College), Kathryn White (UU), Conor Linnie (TCD), Guy Woodward (TCD), Anne Thompson (TCD), Alex Runchman (TCD), Eve Patten (TCD), Ute Anna Mittermaier (U Applied Sciences Technikum Vienna), Dorothea Depner (TCD), Tom Walker (TCD), Maurice Walsh (Kingston U), Julie Bates (International U Sarajevo), Gerald Dawe (TCD). Dorothea Depner was awarded a doctorate by Trinity College Dublin in 2013. She co-edited and introduced a selection of wartime diary notes, letters and unpublished chapters for an omnibus edition of Christabel Bielenberg’s memoirs, The Past is Myself and The Road Ahead (2011). Guy Woodward was awarded a doctorate by Trinity College Dublin in 2012. He has lectured at universities in Dublin and Mexico. His book Culture, Northern Ireland and the Second World War was published by OUP in 2015. We would like to thank all who attended the symposium on Friday, and to thank especially all those who presented papers. We very much enjoyed meeting you all and feel that the discussions that developed over the course of the day opened up some new and fruitful lines of enquiry. Given the enthusiastic response we received, over the coming weeks we will examine ways of taking this project forward and will announce any news on this front here. If you have any comments or suggestions please contact us via writinghome2013@gmail.com. We are delighted to announce that the Documents on Irish Foreign Policy project at the Royal Irish Academy will be tweeting several primary source documents to coincide with relevant sessions at the symposium on Friday June 14. These documents detail aspects of the wartime experiences of James Joyce, Francis Stuart, Samuel Beckett, and Denis Devlin from an Irish diplomatic perspective. 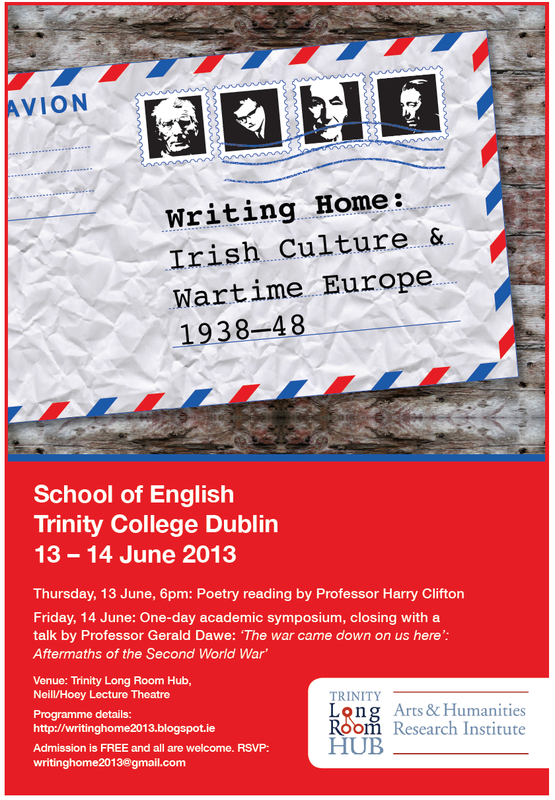 Follow Documents on Irish Foreign Policy at https://twitter.com/DIFP_RIA and join the discussion using the hashtag #writinghome2013. Click here for details of contributions and contributors to the academic symposium on June 14. We are delighted to announce the full programme for the symposium.